Lunar eclipse: Tonight's will be the first in a tetrad of four total lunar eclipses over the next year-and-a-half.Courtesy Mark RyanThe first of 4 consecutive total lunar eclipses occurs late tonight (and early Tuesday morning) and will be visible to practically all of the United States (local weather permitting). The astronomical event begins around 5:58 UT, and should last about 4 and a half hours from start to finish. A total lunar eclipse takes place when the moon passes through the Earth's umbra, the innermost darkest shadow created by the Earth as it (from the Moon's perspective) blocks out the Sun. Refraction caused by the Earth's atmosphere allows for some of the Sun's light to bend around the Earth and bathe the Moon in an amber glow, resulting in what is sometimes referred to as a Blood Moon, especially by some fundamental religious groups who see it as an omen of the biblical End Times. There are two other kinds of lunar eclipses. When the Moon passes only through the penumbra, the faint part of the shadow, that's called a penumbral lunar eclipse. When only a portion of the Moon intersects with the darker umbra, that's a partial lunar eclipse. As I mentioned, tonight's eclipse is the first in a series of four consecutive total lunar eclipses. This is a pretty uncommon occurrence known as a tetrad. Only 62 tetrad events will have occurred from 1 A.D. to the year 2100, and just eight in the 1200 months of the 21st century. Each year there are at least two lunar eclipses and sometimes as many as five. Eclipses don't happen every month because the plane of the Moon's orbit around Earth is tilted. Usually, consecutive eclipses are a mix of partial, penumbral, and the relatively rarer total lunar eclipses. 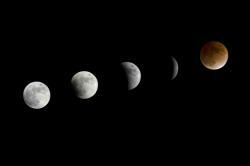 To have four total lunar eclipses happen in a row, as we will over the next seventeen months or so is even rarer. And luckily, all four of them be will visible to most of us in the United States. Tonight's celestial event begins at 11:55 PM (Minneapolis time) and reaches maximum eclipse at 2:46 AM, then finishes at 4:32 AM. If you want to confirm the times for your area, use this handy eclipse calculator. The night-owl timing of tonight's eclipse might keep many of you from enjoying it (I'll probably be sleeping), but just know there are three more headed our way: October 8, 2014, April 4, 2015, and September 28, 2015. Bill Nye gives us a quick, and fun, lesson on how we can avoid problem asteroids of the future. Meteor might: The vapor trail shows the path of a meteor that streaked across the Russian skies earlier this month.Courtesy Nikita PlekhanovWhat do you get when you cross cross-country skiing with trigonometry? You get answers to exactly what happened in Russia a couple weeks ago when a meteor flashed across the sky. Click here to see the earlier Buzz post about the event. Using video footage gathered from various sources and knowing the landing point of the meteor, scientists in Columbia have been able to recreate its path to Earth, including the boom-a-rang effect it had in orbiting around the sun. 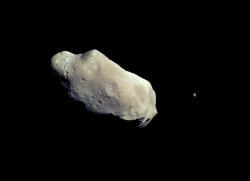 A separate group of researcher have pinpointed that the meteor came from an asteroid belt between Mars and Jupiter. And closer to the scene of the impact, cross-country skiers have crisscrossed over the 31-mile-long debris field below the meteor's path, collecting more than 100 pieces of meteorite, the biggest being 2.2 pounds. Some chunks are for sale for as much as $16,000. How much would you be willing to spend for a piece of space debris? How much would you be willing to spend now that you know it's probably 4.5 billion years old? Asteroid: A number of public and private researchers are keeping tabs on the asteroids and other space objects that could hit Earth.Courtesy NASA/JPLLast week could have been called "Chicken Little Week" with the near miss of Earth by an asteroid and and the dazzling, but havoc-producing meteor crossing through the Russian skies. Have you taken off your safety helmet yet? 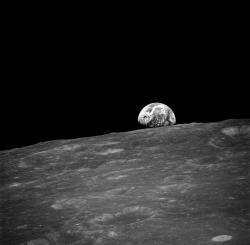 While it takes an extraordinary week like that to make most of us think about the dangers looming out in space, there are researchers dedicated to tracking the dangerous projectiles in space. Here's a great report on public and private research groups keeping track of the random traffic in the skies. Interestingly, they claim that we only really spot about 10 percent of the miscellaneous space stuff that could collide with Earth. And, they're not just settling for trying to pinpoint where the problems are. 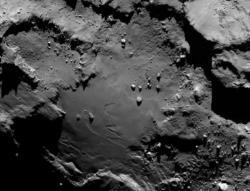 They're trying to figure out ways to deflect or break-up potentially damaging space threats. Taking it one step higher, some are even investigating ways to mine key minerals from these threats to Earth. Rolling, rolling, rolling: Tomorrow marks the 10-year anniversary of the landing of NASA's Mars rover Opportunity. It's still taking pictures and collecting data on the Red Planet.Courtesy NASACan we expect to get more than 10 years out of our cars today? At best, they get listed as a "late model" vehicle in some classified ads. So how about our space cars? This week the Mars rover Opportunity is marking its tenth year of rolling around the Red Planet. Not too shabby for something that was designed for just a quick three-month life span. It's partner rover, Spirit, seized up and got permanently stuck in sand three years ago. And now both vehicles are being overshadowed by Curiosity, the high-tech rover that just landed on Mars five months ago. 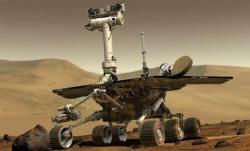 Like any older vehicle, Opportunity has its quirks. It gets around mostly in reverse these days because one of the front wheels doesn't turn well. Its robot arm needs some extra coaxing from operators to get jobs done. But it's still collecting samples and data. It total, it's logged 22 miles across the Martian terrain. Not too shabby for a late model rover. 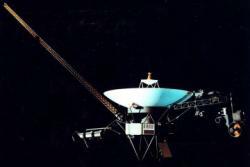 Here's a link to NASA's webpage of photos and information that Opportunity has collected over the years. More Earths on the horizon? : Who knows how many potential new Earths are out there circling other stars in the Milky Way?Courtesy NASAWe like to think of our home planet – Earth – as a pretty unique place. It's the only planet in our solar system capable of sustaining life. We look through telescopes and to see exotic looking planets of various sizes and shapes. But we're the one and only Earth, right? A new census of planets in the Milky Way galaxy shakes up that thinking. New data collected by NASA's Kepler spacecraft pegs one in six stars in the Milky Way of having planets that are the same size as Earth. That one-sixth fraction translates into an estimate of about 17 billion planets that are the same approximate size as our home. So we're not as exclusive as might like to think. But the exclusivity meters edges back toward us when you factor in the Goldilocks zone – a distance from the host star that's not too hot nor too cold to sustain life. So far, extended research on the new-found planets has identified only four Earth-sized planets that could possibly reside in a Goldilocks zone. The Kepler project has identified a total of 2,740 potential new planets with more research ongoing. Who knows all the things that the new year will hold? 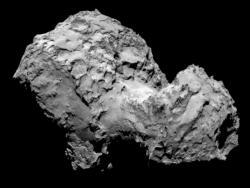 But scientists looking to the skies are anxiously awaiting the appearance of a newly discovered comet which could be brighter than the moon. Predictions are that Comet ISON will be visible without the aid binoculars or telescope from early November to early January 2014. The comet will also pass fairly close, astronomically speaking, to Mars this year, giving the Mars rover something else to look at. Read more about Comet ISON here.